About Cutz for Guys, Inc.
We are a locally owned, sister team that founded Cutz for Guys in 2011 to provide grooming services to men and boys. We believe our clients deserve a quality, quick haircut in a clean salon. We believe that our stylists are our most important asset so we choose to pay above average wages & benefits, treat them with respect and dignity and provide opportunity for growth and advancement. Tammy has been a licensed hair stylist for 20 years. She has management experience at two national hair salons. Tammy manages all aspects of the the day to day operations of the salons. Tracy brings to the team an accounting background. She is a successful small business owner of Green Bean Counters, LLC and managing partner of The Change Creation, Inc. Tracy manages the business end of the salon. Valerie has been with Cutz since we opened in 2011. She has been a licensed hair stylist for more than 15 years. Valerie manages the Midlothian Salon. Brianna has been with Cutz since 2013. She has been a licensed hair stylist for more than 5 years. Briana manages the Short Pump Salon. Hilary has been with Cutz since 2017. She has been a licensed hair stylist for more than 5 years. Hilary is the Assistant Manager for the Midlothian Salon. Brittany has been with Cutz since 2017. She has been a licensed hair stylist for more than 7 years. Brittany is the Assistant Manager for the Short Pump Salon. Lindzey has been with Cutz since 2017. She manages the front end for all salons. Hilary has been with Cutz since 2012. She has been a licensed hair stylist for more than 10 years. Hilary manages the Mechanicsville Salon. Kacie has been with Cutz since 2015. She has been a licensed hair stylist for more than 3 years. 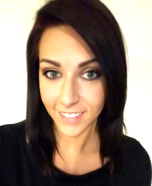 Kacie is the Assistant Manager for the Mechanicsville Salon. Rachel has been with Cutz since 2016. She has been a licensed hair stylist for more than 3 years. Rachel is the Assistant Manager for the Mechanicsville Salon.